I don’t know about you, but one of my best inspirations for trying a recipe, is having leftover ingredients to use up. The other day my fridge seemed to have half a quart of buttermilk and my pantry had some left over cake flour, both from my buttermilk cupcake adventure. 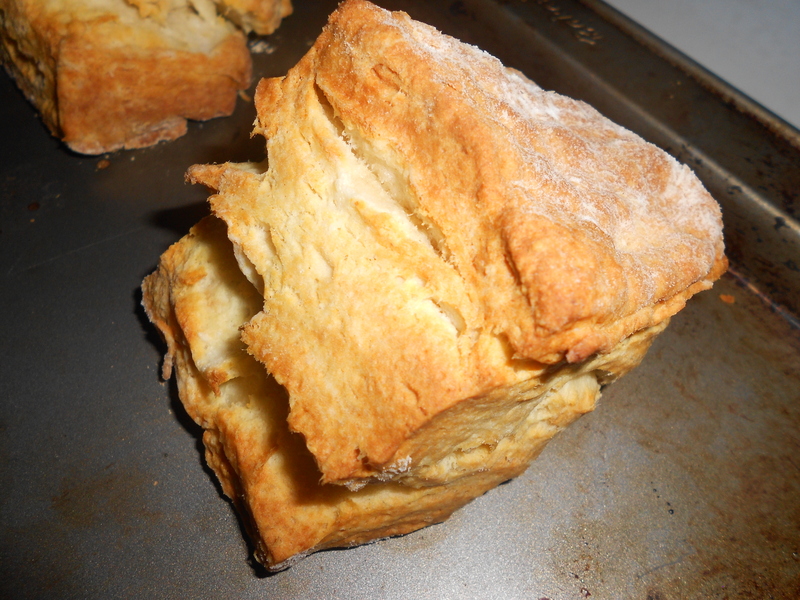 I was in need of a bread option for a dinner and the stars aligned when I found a biscuit recipe to used both the cake flour and buttermilk. It turned out to be from Guy Fieri at The Food Network. 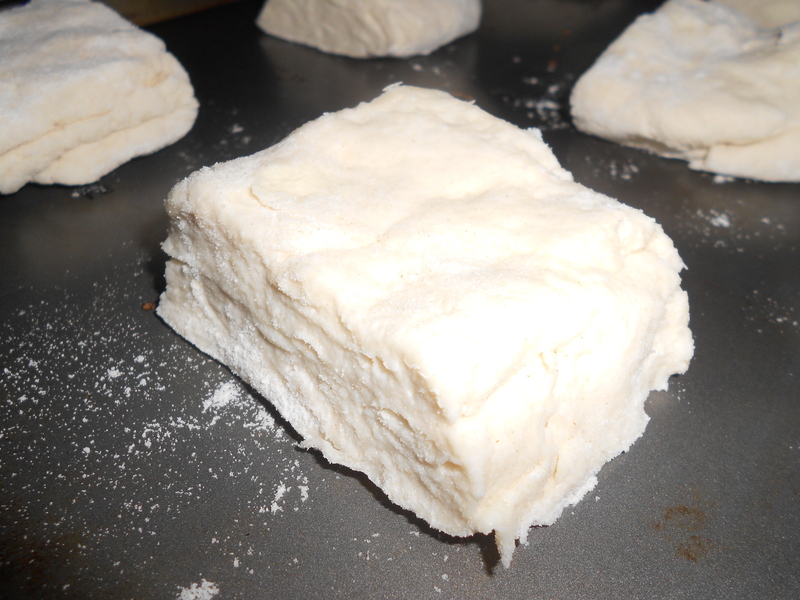 I thought it was interesting considering I looked at several biscuit recipe options from several sources, a Guy is not the chef I think of when I think of buttermilk biscuits. Preconceptions aside, I liked the recipe, and above all it reminded me that my life in the kitchen would be much easier if I had a food processor (not that I have anywhere to put it in my tiny kitchen). That being said, this recipe is best done with a food processor, but you can get away without it. I did. If you’re using a food processor add both types of flour, baking powder, baking soda, and salt into the machine and buzz for a few seconds to mix. If you aren’t using a food processor, just combine the dry ingredients. Add in cold butter and shortening and pulse a few times so the mixture is like small pebbles. Add buttermilk and pulse a couple more times. If you don’t have a food processor, try using a pastry cutter to help cut the butter and shortening into the dry ingredients. 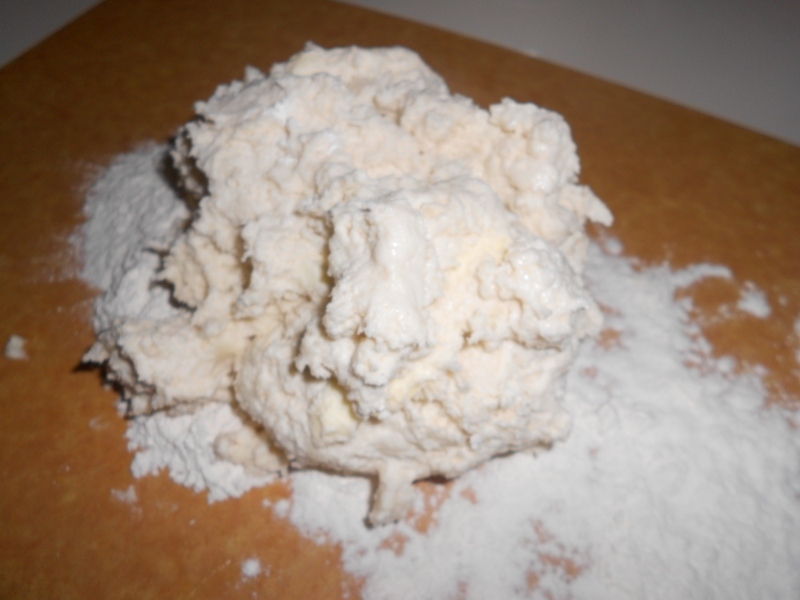 Turn the dough out onto a flour surface, knead once or twice (do not over work) and form into a thick disk to cut with a knife or cookie cutters. 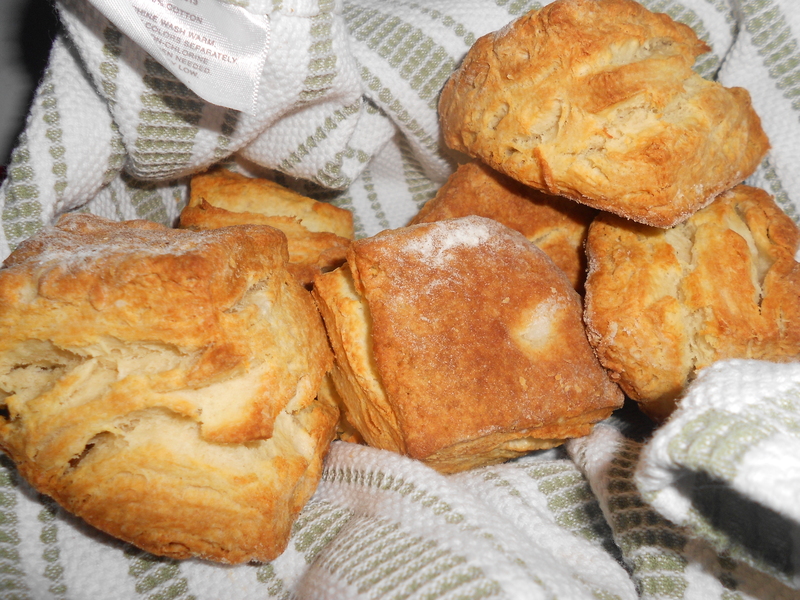 Turn the oven down to 450 when you put the biscuits in the oven. Bake 12-15 minutes until golden brown.